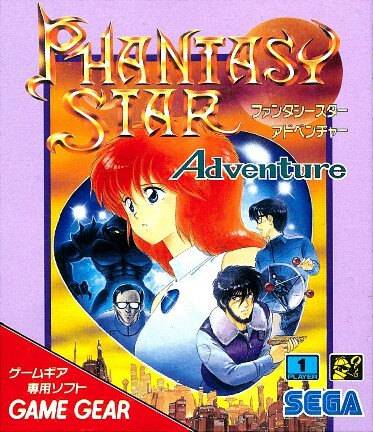 Like most Game Gear games, Phantasy Star Adventure was sold at retail in a boxed package. This is the front of that box. The artwork features all of the main characters in the game, except the faceless Agent who the player controls. The pink outer border is a bit unusual, but the overlay of the moon outside the square borders it presents is a creative touch.